French consumer electronics company, Thomson, has signed a licensing agreement with SPPL (Super Plastronics Pvt. Ltd.) to launch its line-up of smart TVs in India in partnership with Business France. 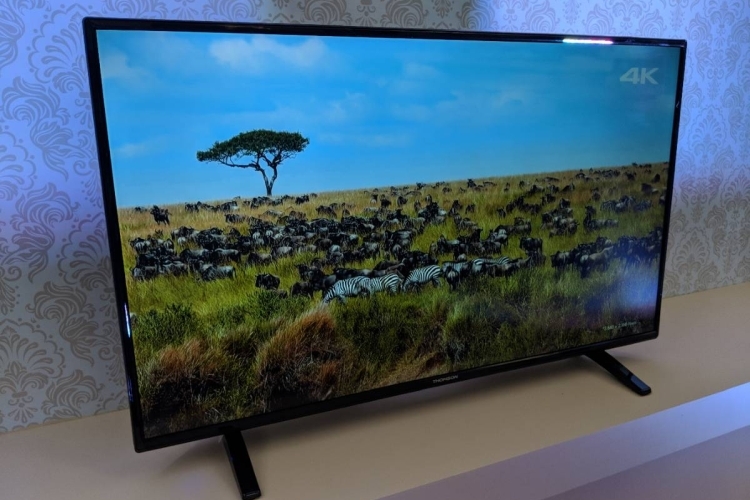 At an event in New Delhi today, Thomson announced the launch of its 43-inch 4K UHD TV as well as the 40-inch and 32-inch smart TVs, all three of which will be sold exclusively via Flipkart and will go on their first flash sale on April 13. “We are delighted to partner up with a leading and historic global brand like Thomson. It is SPPL’s endeavor and commitment to promote ‘Make in India’, generate employment and contribute to the Indian economy. With the launch we aim to capture 6% – 7% of total TV market share and make Thomson, No. 1 Online smart TV brand in India”, said Avneet Singh Marwah, CEO of Super Plastronics Pvt. 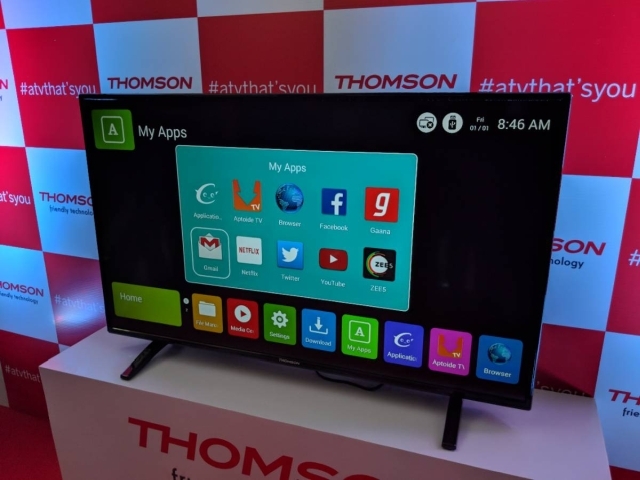 Ltd. that will manufacture and sell Thomson-branded TVs in India. The top-of-the-line 43-inch Thomson 4K Ultra HD TV features an LG-made IPS panel with 300,000:1 dynamic contrast ratio, 60Hz refresh rate and 178-degree wide viewing angle, and also features custom visual output modes such as Standard, User, Soft, Vivid, Natural etc. 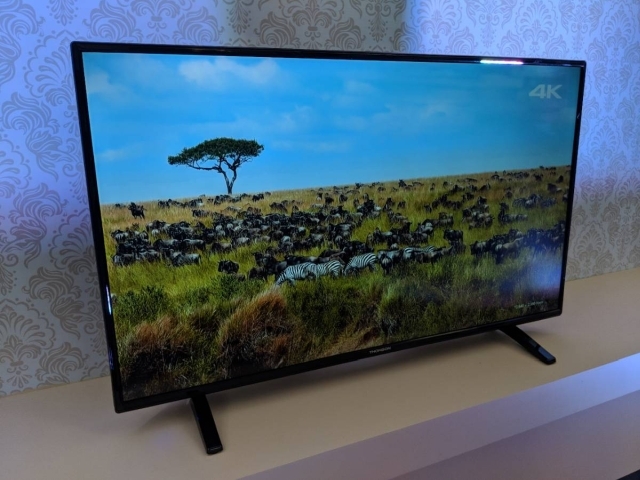 The Thomson 4K TV is powered by an ARM Cortex CA53 dual-core processor clocked at 1.4GHz, ticking alongside 1GB of RAM and 8GB of internal storage. 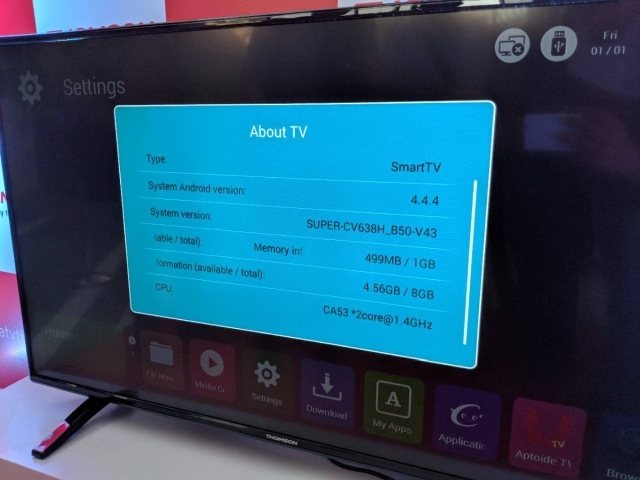 Based on the Android 4.4.4 KitKat, the device has built-in APKs for Gmail, Twitter, Netflix YouTube and Facebook, and also allows users to download any compatible Android app on the TV. The 43-inch Thomson 4K UHD Smart TV costs Rs. 27,999, while the 32-inch Thomson LED Smart TV and the 40-inch Thomson LED Smart TV cost Rs. 13,499 and Rs. 19,999 respectively, with sales expected to kick off today on Flipkart at midnight.